Imagine The Yard Of Your Dreams! Most of us dream … I can help you create…. Most of us dream of having a yard similar to what we see in an architectural magazine. What if this were possible in your own yard? Imagine. Regardless of your budget or site conditions, I can help you create the perfect outdoor living area. It begins with a well-planned design. The entire process is actually an enjoyable venture. By providing you with a scaled drawing, all of the details needed and educating you each step of the way, I include you in the process of developing the best layout for your yard within your budget parameters. The perfectly landscaped yard that you dream about is within reach!! Having worked in all facets of landscape construction for more than 20 years, I offer immeasurable experience obtained from designing and working side by side the crews in the field. Whatever your site conditions: poorly drained, limited spaces, sunny slopes, dry root bound shade, renovations and even complete disasters, I have worked on all of these types of yards. I feel fortunate to have pursued a career for which I feel great passion even after all of these years. I believe the passion is contagious!! In California, we have the opportunity to spend so many wonderful moments outdoors. Step outside with me and share your vision. Together, we’ll create the perfect respite in which you find comfort, recreation, play, escape, intimacy, or solitude. Contact me for a consultation to review your property, browse my portfolio and discover what potentials there are for your yard. Being raised along the Mississippi Delta, I was surrounded by large hardwood forests with diverse natural beauty in which I could easily lose myself, and often did! I received degrees from universities and colleges in both North Carolina and Illinois. During those years, I worked with several reputable landscape contractors in Tennessee, and Illinois. From that foundation, I ventured out to California and have never looked back. With bachelor’s degrees in both Horticulture and Forestry, I have a unique knowledge of an extensive plant palette beyond most landscape architects. 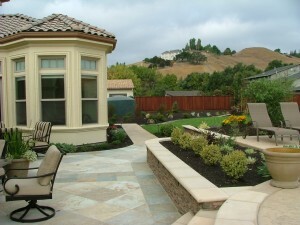 As an experienced San Francisco Bay Landscape Design professional , I’m able to recommend plants that work well with the specific conditions of your site with great success, especially within the various microclimates of Northern California. your property. Even if you are not sure how you want to develop your living areas, we work together to make your outdoor environment a wonderful place to spend time, regardless of the activity. I welcome the opportunity to meet you and discuss your project. Together, let’s create the best place imaginable!